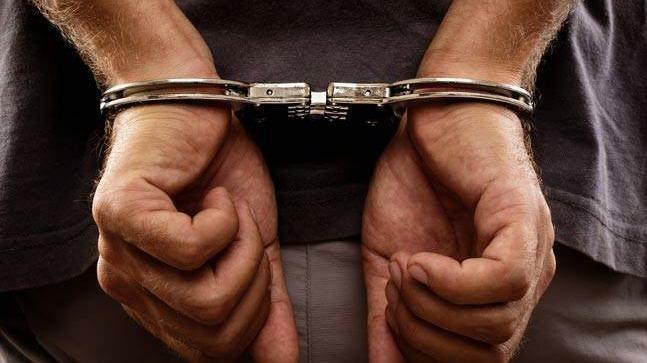 A police inspector from Uttar Pradesh's, Noida was arrested and later suspended from duty on Tuesday in connection with an extortion case. Three journalist were also arrested after an operation to trap the accused was launched on Tuesday. Noida: A police inspector from Uttar Pradesh's, Noida was arrested and later suspended from duty on Tuesday in connection with an extortion case. Three journalist were also arrested after an operation to trap the accused was launched on Tuesday. The incident was reported from Sector 20 police station of Noida. The police inspector, identified as Manoj Pant, was arrested on charges of accepting the bribe of Rs 8 lakh from a call centre in the area.The incident was reported from Sector 20 police station of Noida. The police inspector, identified as SHO (Station House Officer) of Sector 20 Manoj Pant, was arrested on charges of accepting the bribe of Rs. 8 lakh from a call centre in the area.The journalist were identified as Sushil Pandit, Udit Goyal and Raman Thakur.